This is a very hard bike to find...a WOW factor bike and truly a must see. This bike looks like new. Customer says this is one of three made in this color, but we have yet to verify. Regardless, it's not common and especially not in this condition these days. Motor was done by D&S Cycles in Erie PA and paint by Palermo. No expenses were spared. Parts that weren't up to standard were re-chromed. The bike was in a private collection which speaks to the caliber. So stop in to see this bike or any of the hundreds of bikes we have for sale or call Jen at 724-282-7278 ext 4. This is for the serious HD collector! Hello, I'm interested in your 1959 Sportster® Super CH. 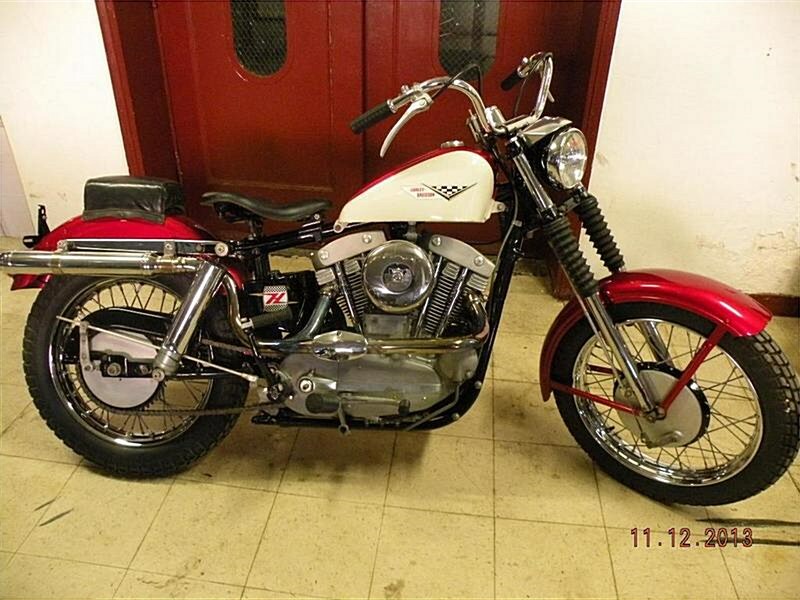 Hello, I'm interested in making an offer on your 1959 Sportster® Super CH. Hello, I'm interested in trading in my bike for your 1959 Sportster® Super CH. Hello, I'm interested in taking your 1959 Sportster® Super CH for a test ride.